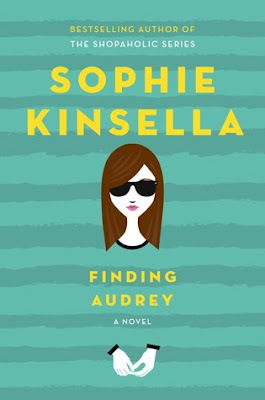 Laurie Here - Contemporary Fiction and MORE - Book Reviews: #Book #Blast #GIVEAWAY "Finding Audrey" by Sophie Kinsella (a Young Adult book!) releases TODAY, MAY 3rd, 2016! Enjoy! 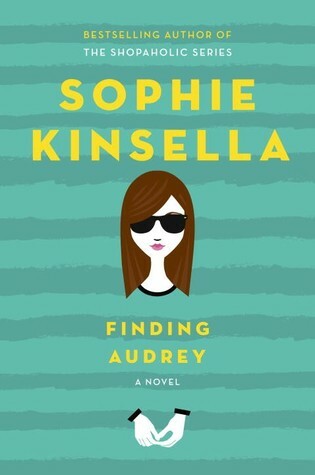 #Book #Blast #GIVEAWAY "Finding Audrey" by Sophie Kinsella (a Young Adult book!) releases TODAY, MAY 3rd, 2016! Enjoy! WITH "ONE" UNITED STATES PAPERBACK GIVEAWAY! Please scroll down AFTER the Description for the FORM that you need to fill out to get the chance to #WIN ONE PAPERBACK COPY OF THIS BOOK!!! EXCITING!!! WILL "YOU" BE THE WINNER? WE'LL SEE! THIS BOOK RELEASES IN PAPERBACK TODAY, TUESDAY, MAY 3rd, 2016! Grab your copy TODAY! ENTER UNTIL MAY 11th! GIVEAWAY EXTENDED TO 5-14-16 - DUE TO MY BLOG GOING OFFLINE DUE TO BAD CODING DEVELOPING ON IT'S OWN.